Finally, Scotland's greatest ever band (yes, you read that right) are back after a extended hiatus and who would ever have guessed they'd return rocking this shocking speed garage/50s rockabilly hybrid sound? No one, of course, because they haven't. 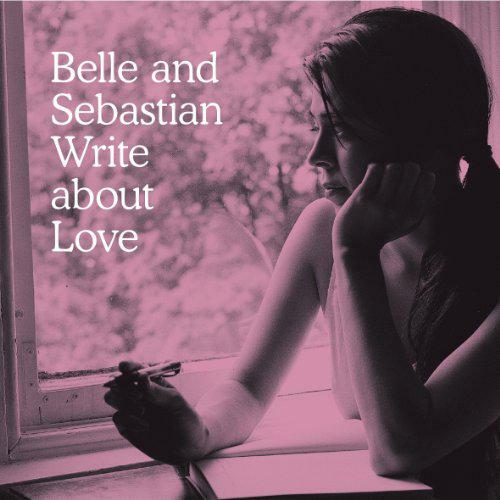 'Write About Love' sounds, from its very opening note onwards, just like a Belle & Sebastian song. Perhaps The Mamas & the Papas' influence is a little stronger than before, and there's some Doors-esque jazz keyboard noodling halfway through, but otherwise this is very much business being resumed as usual. If that makes 'Write About Love' sound a little dull, well, I'm a afraid it is. That's not to be confused with actually being bad, mind, but this is the kind of fizzy indie pop B&S can knock out between piss breaks. What's more, lines like "I hate my job/ I'm working way too much" fail to stick since the production is so Radio 2 smooth. Ah, well. It's just nice to have 'em back, to be honest.